Dr. Jaid Merritt doesn't do digs. The last time she ventured into the jungle, someone died. Now she's content to decipher Maya glyphs from pictures sent to her by her famous archaeologist father. 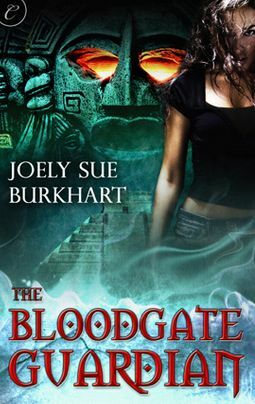 But when he goes missing while trying to perform a ritual based on her translations of an ancient codex, Jaid must put aside her fears and travel to Guatemala to find him. After misusing the Bloodgates to bring his twin brother back from the afterlife, the Maya priest known as Ruin was cursed by the gods to stand as the guardian for all time. He was unable to stop Dr. Charles Merritt from opening the gates, and now demons roam this world. The last thing he wants to do is hurt the beautiful woman who is somehow infused with his magic, but if she uses the codex to retrieve her father, Ruin must do his duty. And this time, he won't fail. Even if it kills him. Again.